A Japanese restaurant nestled on the LG floor The Market of Isetan The Japan Store KL. 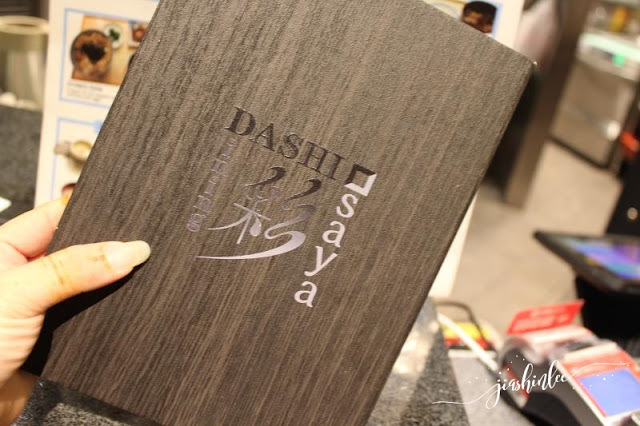 DASHI dining & delica SAYA offers quality Japanese food at a very reasonable price for takeout and dine-in. There are two sections of this Japanese restaurant, a dine-in section with open kitchen/bar in the middle and the take-out section is right beside it. The chef's special! 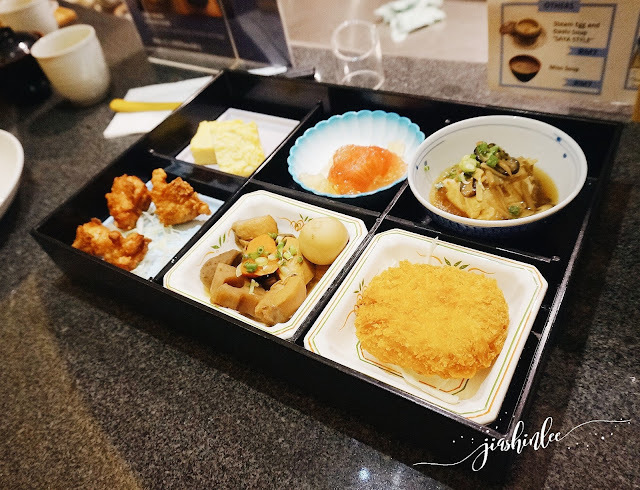 The Take Set is a must try here, the set consists of Fried Chicken "Saya" Style, Traditional Japanese Stew, Hokkaido Croquette (beef/vegetable), Japanese Omelette, Tomato with "DASHI" Ginger and Tofu and Kinoko Mushroom with Dashi Sauce. 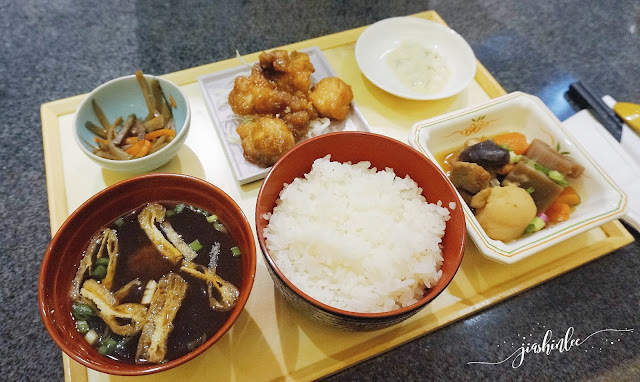 This set comes with serving of miso soup and hot steamed rice. Fried Chicken with Tartar Sauce what I normally have when I am here, I love how they manage to cook the chicken with crispy coating on the outside and that sauce that goes with it balance the dish beautifully. The set is served with steamed rice, miso soup, Traditional Japanese Stew and pickled vegetables. 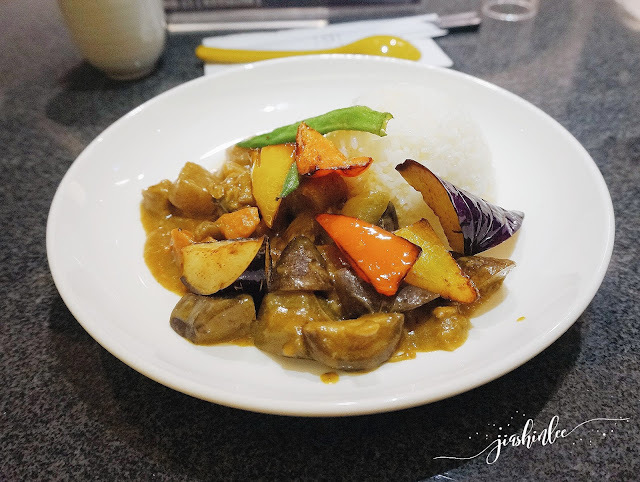 The classic Japanese curry, this will make a great meal for lunch! The curry is mild but it is rich with hearty flavours and comes with fried vegetables. 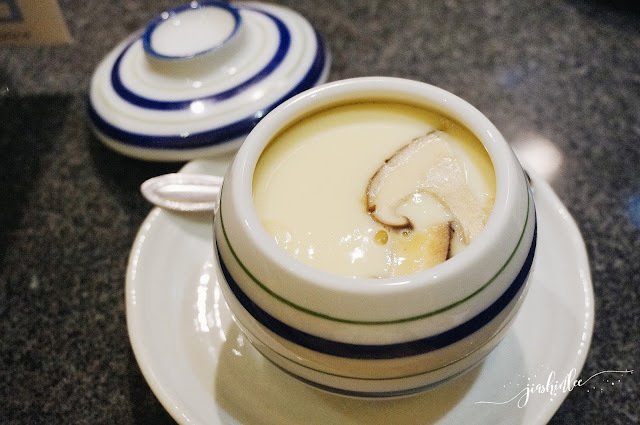 This egg custard is well known as Chawanmushi, I like how they made it really soft and smooth and it was not too salty. 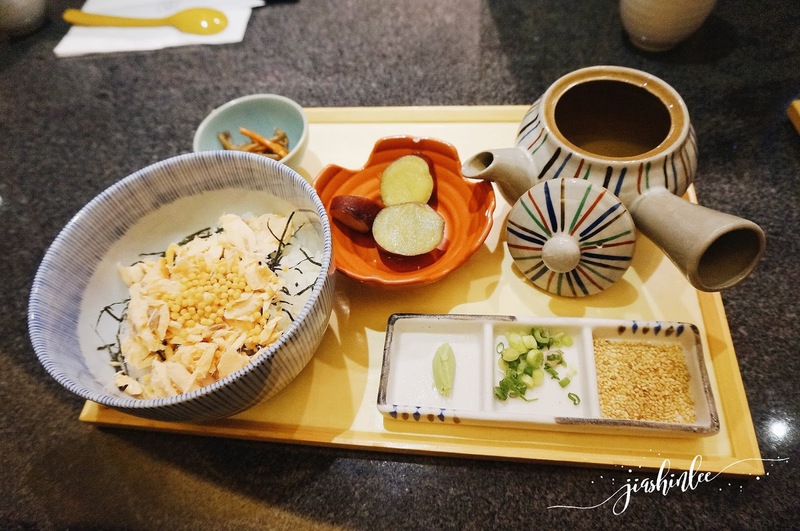 Dashi Chazuke is a dish made of a bowl of steamed hot rice with a hot pot of Dashi poured on top, savory toppings of your choice will be added. 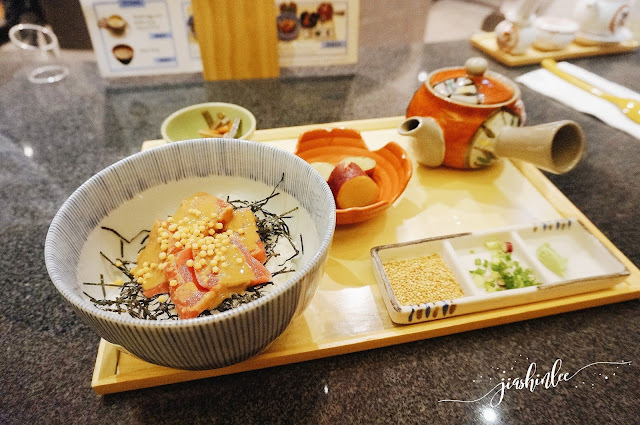 There are 5 choices of toppings available DASHI dining & delica SAYA - Grilled Mackerel, Grilled Salmon Flake, Grilled Salmon & Salmon Roe, Chicken and Tuna Sashimi. 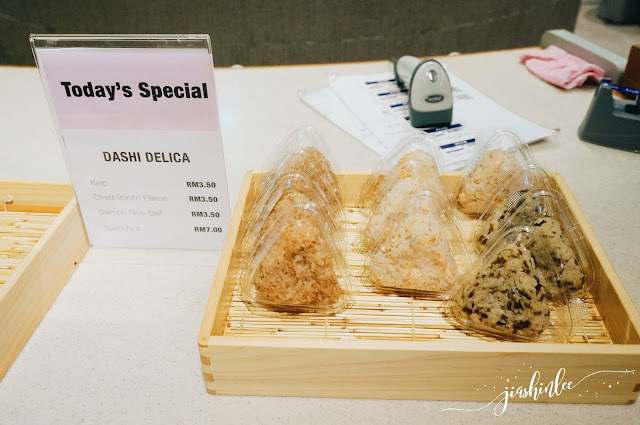 Feel free to choose the amount of steamed Japanese Rice, it comes in small (200g) but with an upgrade, you can choose a bigger portion of medium (250g + RM2) or large (300g+ RM3), Dashi refills are free of charge so don't be shy if you would like more of that tasty broth. I really enjoyed myself with this delicious yet healthy meal! Comes in a bowl of hot steamed rice with grilled salmon flakes. Add in that tasty Dashi broth which is rich in flavor to enjoy that hearty meal! Again with the same concept, same broth and serving presentation only this is using the Tuna Sashimi as the raw ingredient. The fish was fresh and pre-seasoned with soy. The take-out section is easy to spot because it is right beside the restaurant, they have more than 20 varieties of Japanese home packed dishes to bring home. Knock yourself out with their ready made Bento, made fresh daily with different varieties to choose from every day. They also have their ready made Onigri for those who would like a snack instead of a full meal, price at only RM3 each. DASHI dining & delica SAYA is running a promo for the month of July 2017, get a chance to try their signature dishes this month with their BUY 2 GET 1 FREE PROMO! I am an avid Japanese cuisine fan and couldn't be happier when I was invited by Kellaw on behalf of Masao Shimizu, thank you for having us at your restaurant, I am looking forward to be back for more Japanese food! LOT 10, No. 50 Jalan Sultan Ismail, Kuala Lumpur. The curry saya style looks so delicious! I have tried other dishes but not this. Will definitely try this out one day! The take set Rm38 is a complete meal for me. It look delicious and I wnat to try out. Love the ambiance there. I checked that place number of times. I like the ambiance, good for photography, and also I wish to try that grilled mackarel. Yummy! I do indulge in Japanese once in a while. The prices seem so worth it especially with the promotion. 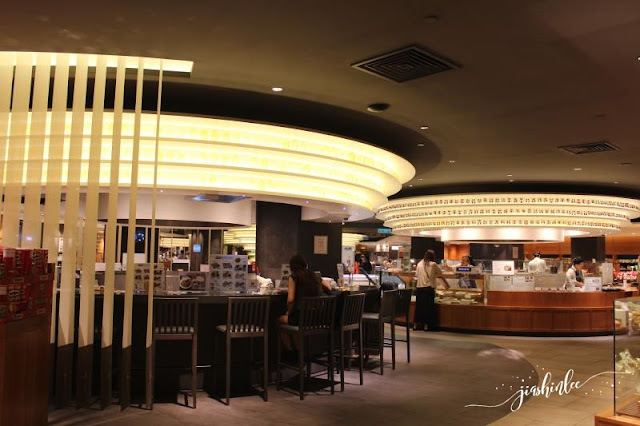 Great post!The ambiance and food looks amazing. My favorite has to be the Take Set - it has everything I love to eat. Wow! I has been quite some time since I have eat meals at Isetan. The set meals looks very delicious and the price is very reasonable. I haven't tried it yet. Thankyou for the review. The ambiance looks nice! 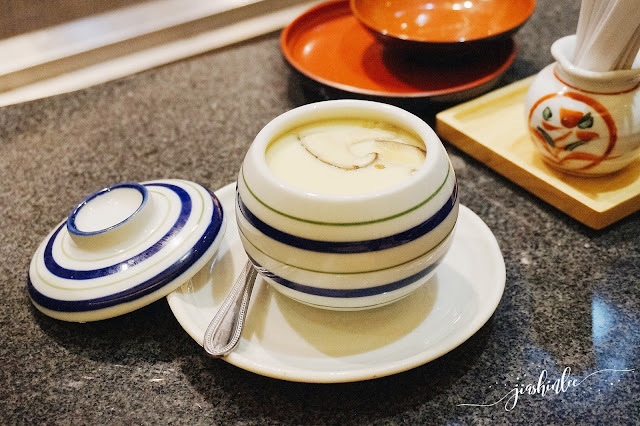 Absolutely love their Dashi soup based. Now I know why you are a regular. Love this! The food looks so good! And it doesn't look too expensive too! this place quite yummy and affordable! Love coming to Isetan! I love Japanese foods especially the set menu because it saves me time thinking what to eat. Plus it is affordable.